Learn the basics of coding with C# Classes and Methods in this free online course. Learn in the basics of how to use methods and classes in C# code. You will learn about namespaces and accessibility in this course of C# Programming - Coding with C# Classes and Methods. The course begins by exploring classes and methods in C# programming and how to declare a new instance of a class. You will also learn how to work with inheritances in the .NET Framework class library and constructors. You will learn about constructor overloading, when constructors have different sets of parameters. You will learn about inheritance, explaining the "parent" class and extending the functionality and state of the parent in the derived or "child" class. You will learn about FileStream, which supports both synchronous and asynchronous operations. You will learn how to use namespaces which are C# program elements which help you to organize your programs. You will learn about StreamReader which implements a TextReader that reads characters from a byte stream with certain encoding. Finally, you will learn how to work with the accessibility modifiers both Public and Private. 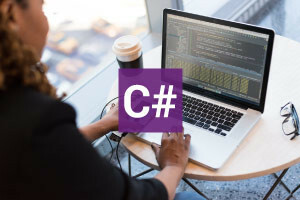 This C# programming course will be of great interest to all learners who would like to be introduced to coding using C# classes and methods and how to use Visual Studio Express.